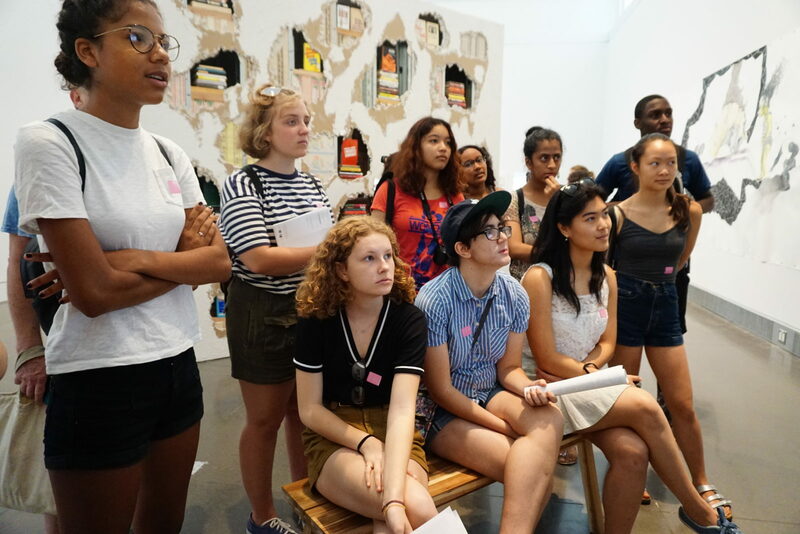 As an ArtsConnection teen you will have access to some of the most exciting and engaging arts experiences that New York City has to offer. Join us! Everybody is welcome. We saved you a seat at our table. High 5 Tickets to the Arts is ArtsConnection Teen Program’s affordable access to the City’s professional dance, music, theater, film, and visual arts for only $5 a ticket. Click here if you’re in 6th – 12th grade anywhere in the world and want to see a show or visit a museum. Best deal in NYC! Can I get a High 5? Apply to a Program: This is the up-to-date place to find open applications to our FREE programs. Click here to be a part of our crew. If you have an interest in Visual Arts & Exhibitions or Teen Programs & Youth Development and seek a hands-on learning experience, come join our team! We have something FREE and FANTASTIC that you can do! Join us in July for our Summer Teen Reviewers and Critics program: Map Free City. In 4 weeks, jump from borough to borough and explore NYC’s exciting outdoor concerts, public art installations, galleries, and more! *RSVP below for May 3*. The Journal of Art and Reviews (JAR) is a blog which features creative content by young people participating in ArtsConnection Teen Programs. With content for teens by teens, we hope to create an online space that inspires, empowers, and enlightens youth by sharing information, highlighting artists, and creating an online community in the realm of arts and culture. What Has TAC Been Up To?